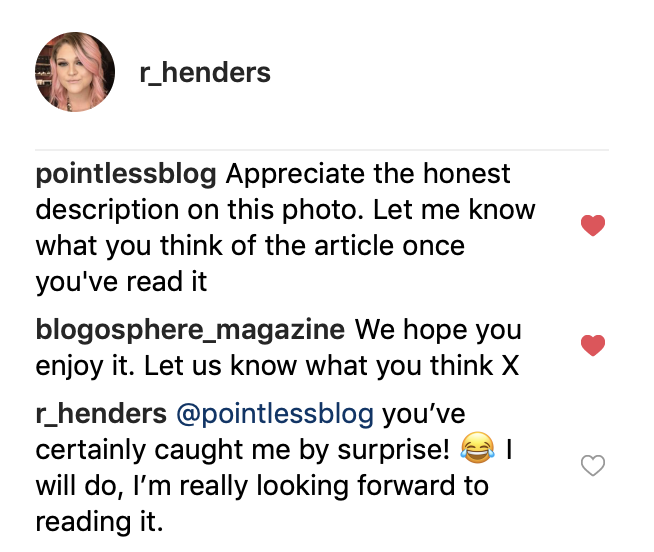 Just in case you’re not following me on Instagram (it’s @r_henders by the way!) here’s my post, Alfie’s comment and my response to him and the Blogosphere article. Alfie is taking a year out of the influencer scene to gather his thoughts and plan his next move as he evolves to change with his audience and attract new followers. Alfie’s been an influencer for a solid 10 years since the tender age of 15 so a large percentage of his audience has grown up with him. Having conquered the industry he’s reached that pivotal ‘what next?’ moment. Alfie’s options are quite vast and he could literally go into so many different aspects industries or extensions of his existing activity off the career he’s already made for himself. It really does just depend on what he wants to do. What next if you’re a successful influencer? So you’re already a household name and you have every partnership, collaboration and affiliate scheme you’ve ever dreamt of. Where do you go once you’ve achieved your goals? The ultimate goal would be to create a legacy. Humans on the whole like to make a lasting impact- that’s why we’re programmed to procreate, it’s about survival as a species but also making sure your legacy of a gene pool lives on in future generations. We are hard wired as a species to do that. If we apply this to Alfie’s case, how might this look? 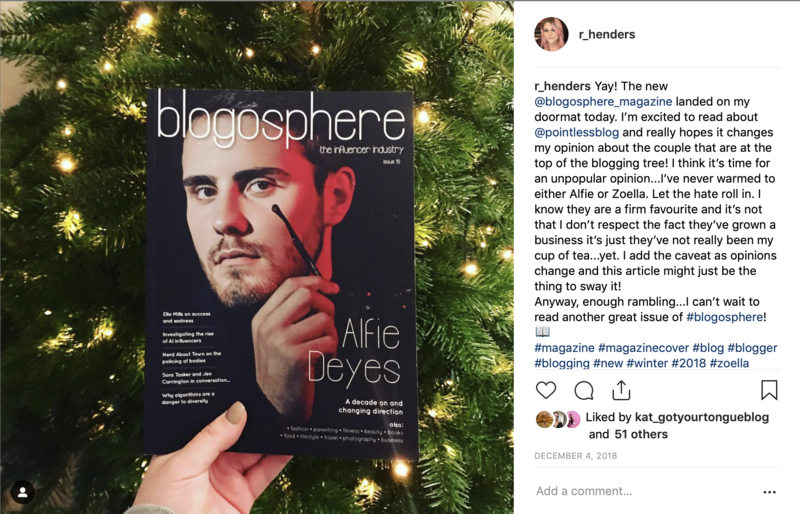 Creating a legacy within his field and being one of the first to do so, through activism and promoting equality and fairness within the influencer realm, would mean Alfie’s name would forever be referred to when discussion around influencers arises in the future. If Alfie doesn’t do it, another large scale influencer will. There’s nothing like shaping the future of the field through the up and coming people who are managing to make their name heard by cutting through all the current social media noise. The industry is a wildly different place to what it was 10 years ago after all. Alfie could help shape what the industry will looks like over the next decade. You can argue that Alfie already is a brand, with a book and several successful channels and other endeavours he’s already on his way and an extremely well known name. Although for many his name is synonymous with the influencer industry I know there’s generations and certain groups of people that still won’t know who Alfie Deyes is. Enhancing Alfie’s brand will make him instantly recognisable to everyone giving him a level of fame where he doesn’t need a description or explanation i.e. Michael Jackson, Tesco or McDonalds. It’s a lot easier to become a brand if you have a specialism like fitness or beauty, think Jo Wicks and Huda Kattan aka Huda Beauty. Personally I think he should do whatever makes him happy but I also really would like him to create a lasting legacy and help shape the influence industry further. I think it’s because I want to see further development of the field for influencers so they continue to be taken seriously while getting rid of those fraudulent rascals who buy followers and likes. Moving the industry forward and away from just looking at number of followers (which as we discussed earlier aren’t always real) to looking at other important metrics like engagement levels and content analysis. Whatever path Alfie chooses to extend and enhance his already successful career it will be an interesting one. The industry is evolving at a frighteningly fast pace and where Alfie goes next, others will follow.